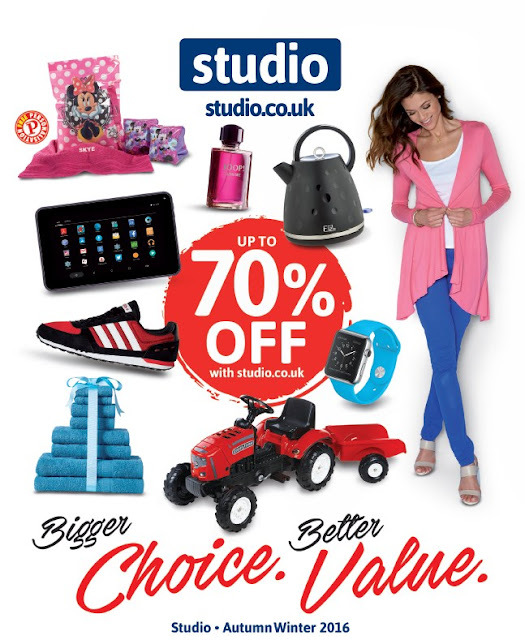 At Studio, the Autumn Winter catalogue is one of the most anticipated catalogues of the year, packed with gifts, toys, electricals, homeware, fashion, and of course, CHRISTMAS! Why not take the stress out of your Christmas shopping and shop early. In our catalogue, you'll find a range of fantastic deals, designed to help make your money go further. Our ‘HOT BUY’ products offer some of the biggest discounts you’re likely to ever see and these can be found throughout the catalogue. And remember, many of our toys and gift lines can be personalised for free! Just look out for the personalisation symbol. Bigger Choice, Better Value - Shop our Autumn Winter Catalogue today - you'll find a whole host of fantastic offers.